Not all brokerages are created equal. Before you rush to join one, do some comparison shopping to find one that will best suit your needs as a new real estate agent and enables you to earn and learn. The best brokerage option for freshman agents is one that lets you keep all of your commission while providing training, resources, and mentorship to support you as you get your new business off the ground. Look for a brokerage that offers a favorable commission structure empowers you to reinvest in your startup business, while also offering training to its agents, which will provide an opportunity to develop your skills and advance your success. Note, some brokerages will handle your business development and lead generation, but they might require you to sacrifice more revenue and commission in return. If you want more control over your brand and business decisions, choose a brokerage that offers helpful resources but protects your independence. Rather than focusing on one particular variable, weigh the pros and cons of each option and identify how trade-offs will affect your career satisfaction and ability to reach your goals. Take the time to ask potential contenders what perks and resources they offer to support agents and reward their success. By offering training courses, marketing resources, and transaction management software, the right brokerage will help you keep expenses low while growing your referral base and your skill set. Once you’ve chosen a brokerage, figure out how to best plug yourself into its organization. Getting to know its processes and becoming fluent with its technology will help you operate more efficiently and ensure that you’re making the most out of available resources. The best brokerages will offer training and support to help streamline the onboarding process, but don’t hesitate to ask questions and do some exploring on your own. Ask other agents who work with the brokerage about what resources they’ve found to be helpful. If your brokerage offers free training courses and networking events, take advantage of these opportunities to hone your skills and build professional connections. There are countless different niches within the real estate market. Part of building your business involves figuring out where you want to focus and how you’re going to compete. Will you stay committed to certain neighborhoods or try covering a whole region? Will you focus on high-end properties? Condos? Multi-family homes? Affordable housing? Plenty of choices are available, but without a plan, you won’t have much direction. Once you’ve determined your niche, you can devote time and energy into branding yourself and marketing to your target audience. The best brokerages provide technology and other resources to help you promote yourself. For example, does your new partner offer agent websites? Will your listings get their own online landing pages? Are digital branding and design resources available for you to produce business cards, flyers, mailers, signs, and any other marketing collateral you want to use? In addition to technology resources, don’t forget to use the best free marketing tool available: social media. Platforms such as LinkedIn, Facebook, Instagram, and Twitter can be powerful branding assets if used in the right way. Make sure to optimize your social profiles to align with your brand and work toward establishing a stronger ecosystem presence, building trust, and inspiring lead engagement. Writing blog posts and sharing photos, videos, helpful tips, and interesting articles is a great way to expand your reach and nurture connections without burning a hole in your wallet. When it comes to building your contact list (and subsequently earning referrals), there’s no substitute for being proactive and persistent. To get your foot in the door, don’t be afraid to step away from your computer and do some old-fashioned neighborhood canvassing. Going door-to-door to introduce yourself and holding open houses are great ways to make personal connections and build relationships with people in your area. The door-to-door strategy (of which this article has some great tips for agents) puts a real person to the face or name the homeowner might have seen on a mailer or website. There is perhaps no better way to meet your target customer than on their turf. Open houses take the concept of the person behind the agent one step further by displaying your skill as an agent as well as the quality of the property you are showing. Being thoroughly prepared for open houses and following up with the people you meet are essential to building your contact list that hopefully yields new clients and boosts referrals. Regardless of whether prospects are interested in buying or selling when you first meet them, nurturing strong connections puts you on the radar if their plans change. In order to continue to grow and optimize your approach, it’s important to frequently take stock of your efforts and results. As you start to gain traction, try to trace different deals and referrals back to their source. Is a particular marketing activity earning you more referrals? Is one social media platform more active and engaged than another? Are your clients all concentrated in a particular area? Understanding how your efforts are contributing to your bottom line will help you to determine where to double down and when it’s time to change your approach. Your business won’t grow overnight, so it’s important to be patient and keep your expectations and goals realistic. 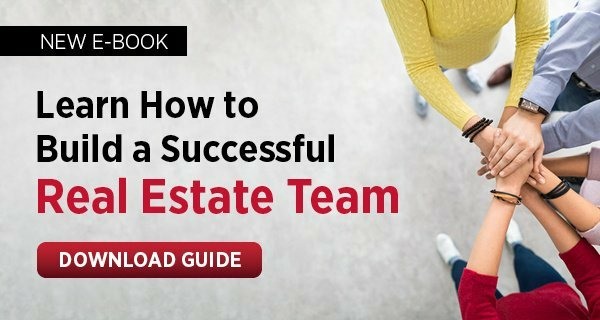 If you leverage all the resources at your disposal and view every open house and training session as an opportunity to build your real estate network, you’ll jump-start your growth and set yourself up for long-term success.